Qatar World Cup migrant worker abuses: FIFA needs to do something about the deaths and kafala ahead of the 2022 World Cup. The Qatar World Cup Is a Human Rights Catastrophe. It’s Time to Do Something About It. Qatar will host the 2022 FIFA World Cup football competition and is slated to tackle a variety of infrastructure projects, including the construction of new stadiums. The 2014 World Cup is just one month away, but it’s not too early to start feeling intense emotions about the 2022 World Cup. Specifically, fury. That’s the feeling I left with after watching ESPN’s excellent E:60 documentary on the human rights disaster that’s unfolding eight years ahead of the Qatar World Cup. From the opening shots of a small, red coffin carrying a young migrant worker, E:60: Trapped in Qatar is a gut punch. In addition to interviewing widows of Nepalese migrant workers, reporter Jeremy Schaap travelled to Qatar and took unauthorized cameras to see laborers’ cramped, squalid living conditions. Previous journalists had been detained by police for attempting to film in these dilapidated housing projects. Those terrible images and individual interviews with grieving family members would be infuriating enough, but then the documentary goes into the actual numbers. Because Qatar has such a tiny population—the country has only about 280,000 citizens—and the World Cup is such a large project, most of the work to build the infrastructure and eight to 12 state-of-the-art stadiums will be carried out by the country’s 1.4 million migrant workers. In the past year alone, according to ESPN, 184 Nepali migrant workers have died, mainly from “sudden cardiac death” caused by terrible working conditions and extreme heat. The Nepalese embassy in Qatar, meanwhile, says 400 workers had died on World Cup projects since 2010. And that’s just the Nepalis. Qatar has also imported workers from India, Pakistan, the Philippines, and elsewhere. India has reported that 500 of its citizens have died in Qatar since 2012. Sharan Burrow, the general secretary of the International Trade Union Confederation, is quoted in the ESPN documentary as saying that at current rates, 4,000 people will die to make the 2022 World Cup a reality. A March ITUC report said that 1,200 migrants have already died in the four years since the tiny, oil-rich Gulf State was awarded the World Cup in a shady and stunning decision. Watch a clip of FIFA president Sepp Blatter saying “there is not one single doubt that the World Cup will be organized in Qatar” and it’s hard not to reach anger level midnight. All of these abuses are possible because of the nation’s kafala employment system, which has been aptly described as modern-day slavery. Through kafala, employers are allowed to confiscate a migrant’s passport and withhold exit visas, effectively preventing that person from leaving the country. Despite these assertions, Qatar and FIFA seem to have realized that a humanitarian crisis of this scale is disastrous, at the very least from a publicity standpoint. 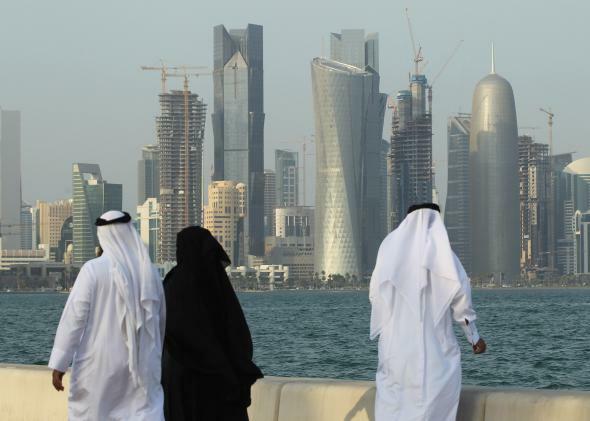 On Wednesday, Qatar announced reforms intended to abolish the worst provision of kafala, specifically the one tying workers’ exit visas to employers. But the Guardian, which prior to the ESPN doc had been the leading news organization in investigating the crisis, reports that these alterations won’t be easy to push through. Changes to Qatari employment law will face pushback from businesses, would have to be ratified by an advisory council, and should not be considered a reality until they are actually enacted. “Promises to fully review sponsorship and exit permits in the long term don’t help workers on the ground,” Amnesty International’s James Lynch told the paper. “The government has been announcing a law on domestic workers’ rights since 2008 but we still haven’t seen it.” Even after Wednesday’s announcement, no timeline had been set for implementation of the reforms. As ITUC ‘s Burrows points out to ESPN, getting rid of kafala and the perverse Qatari exit visa system should be a minimum condition for Qatar continuing to be allowed to host the Cup. The changes announced today were praised by Sepp Blatter as a “significant step in the right direction.” But if Blatter refuses to put pressure on Qatar to follow through, the sporting and international community needs to direct pressure on Blatter himself.